This robust miso, Genmai Miso in Japanese, has been developed for maximum nutrition. Since it is made using whole soya beans and brown rice, it has a very wholefood nutritional profile. Depending on the region and climate where the miso is made, the skill and experience of the brewmaster judges when the miso has reached its optimum maturity. This can vary from 6 months during a hot summer period in certain prefecture to 18 months in colder regions. 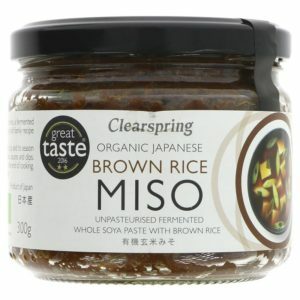 Enjoy this hearty miso year-round in sauces, spreads, baked dishes, soups and stews. This product is Vegan, Gluten-free and is Organic. Yakso tempeh is a delicious bio organic tempeh. It has a live Rhizopus culture in the jar. Tempeh can be used as a meat substitute in foods. It can be flavoured and fried as tempeh 'bacon' or sausages. Made from soya beans, tempeh is a great plant-based protein source! In comparison to tofu, tempeh's fermentation process and its retention of the whole bean give it a higher content of protein, dietary fibre, and vitamins. 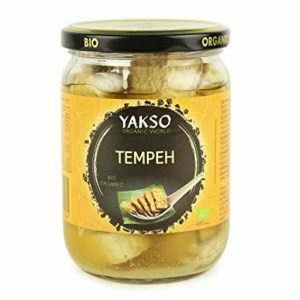 Yakso tempeh is created in a self-sustainable organic farm in the Netherlands.